إليكم هذا البرنامج الرائـع لنسخ الأسطوانات المحمية حيث يمتلك البرنامج القدرة القوية و الرهيبة في نسخ أقوى الأسطوانات المحمية ، البرنامج مرغوب جداً عند الكثيرين ممن ينسخون أقراص الـ CD من بعضها البعض أو عند نسخ شيء ما من الكمبيوتر إلى الـ CD أو نسخ أقراص الـ DVD ، كما يمتاز البرنامج بسهولة الأستخدام فهو سهل جداً للمبتدئين و يلبي حاجة المتقدمين و الخبراء كما يمتلك البرنامج واجهة إستخدام جميلة و سهلة ، برنامج رائـع بمعنى الكلمة و حاصل على العديد من الجوائز و يستحق بكل تأكيد التحميل و التجربة . Blindwrite, your ultimate back up tool! 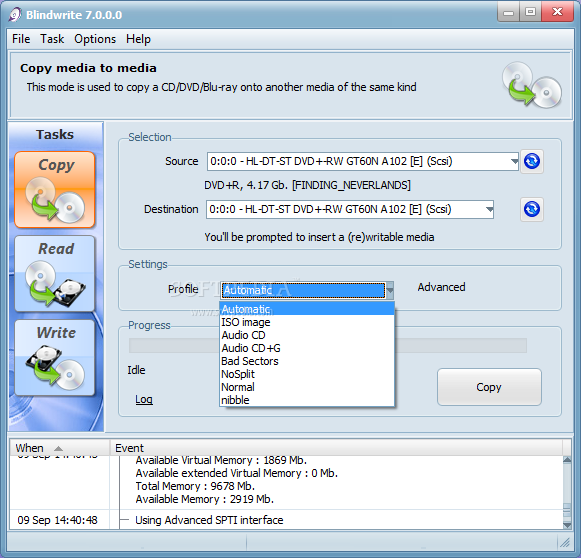 BlindWrite extracts all the characteristics of your media to your harddrive to reproduce a working copy of your media. It allows you to protect your investments against damage caused by children, scratches or by frequent use. Your personal CD or DVD backups can even be run directly from your computer using a virtual drive (i.e. Daemon Tools ). 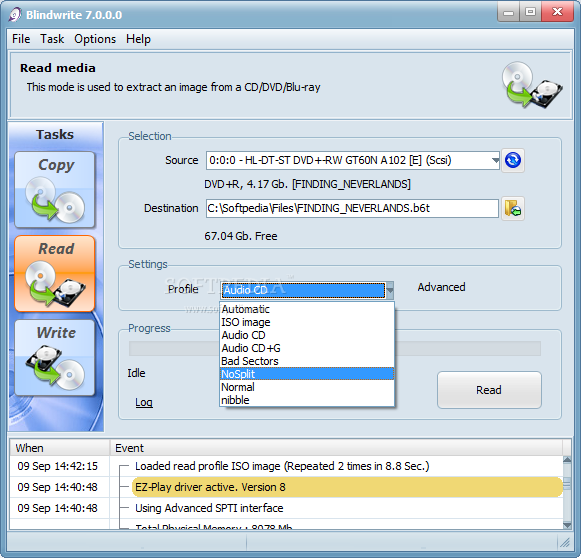 Blindwrite supports a large number of formats and is regularly updated to support the latest technology. 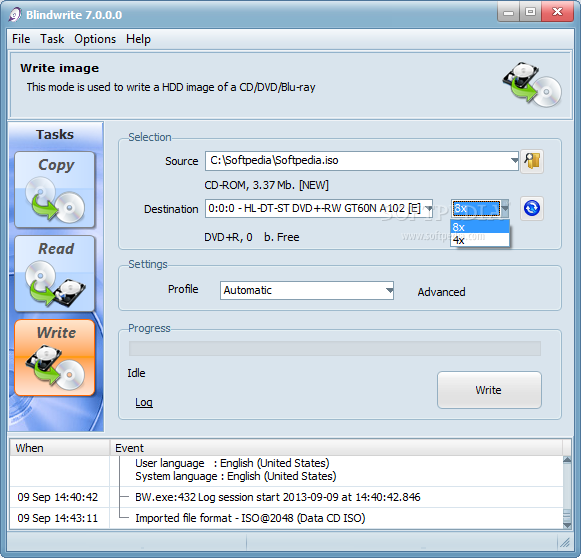 Combined with CopyToDVD, it is a complete set of software for all your backup needs: data files, 1:1 CD/DVD backups, audio CDs from music files and DVD movies. A must-have ! Your personal CD or DVD backups can even be run directly from your computer using a virtual drive (i.e. Daemon Tools). 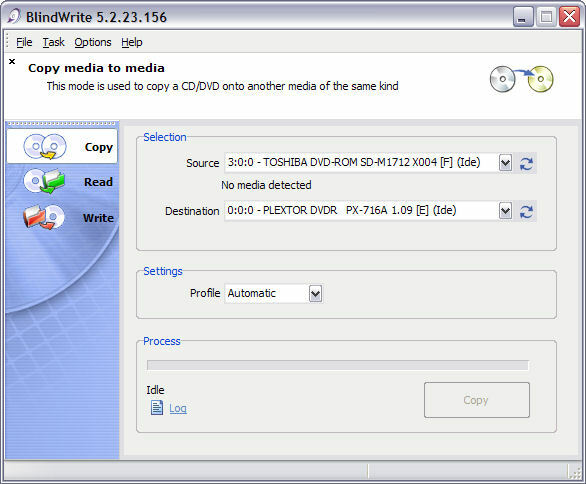 Blind Write supports any popular CD and DVD writer and manages all DVD format such as DVD-R , DVD+R , DVD-RW, DVD+RW, DVD-RAM, DVD R9 DL Double layer as well.